Ships tomorrow if you order in the next 22 hours 24 minutes. Cordyceps, a mushroom that has been sued in China for a number of years is said to provide antioxidant properties, as well as a range of other health benefits, including enhanced energy levels. 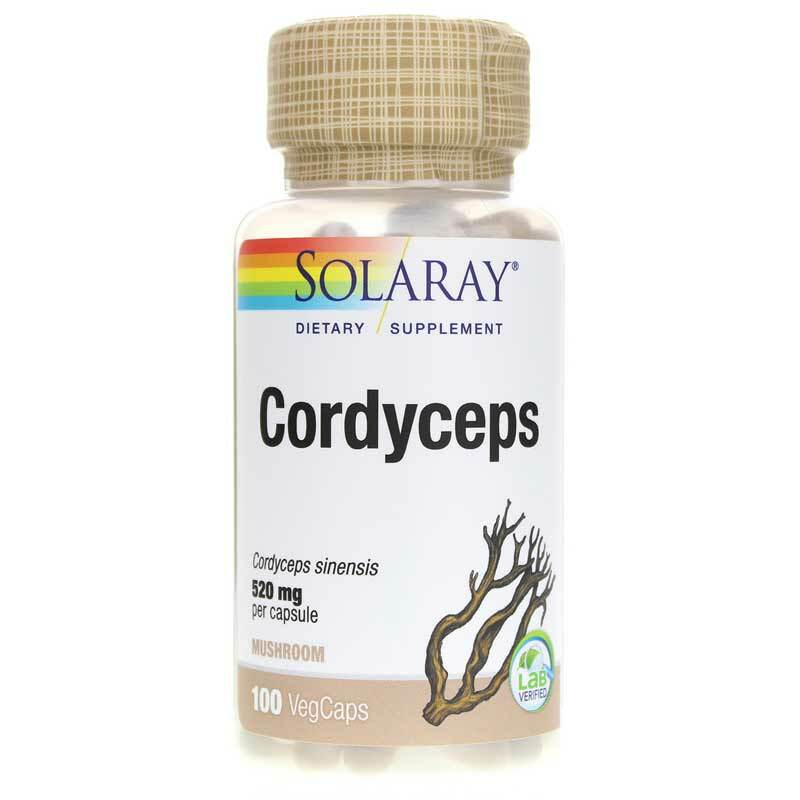 Solaray offer Cordyceps, a natural dietary supplement that provides 520mg of cordyceps in every capsule to help enhance your overall health and performance. 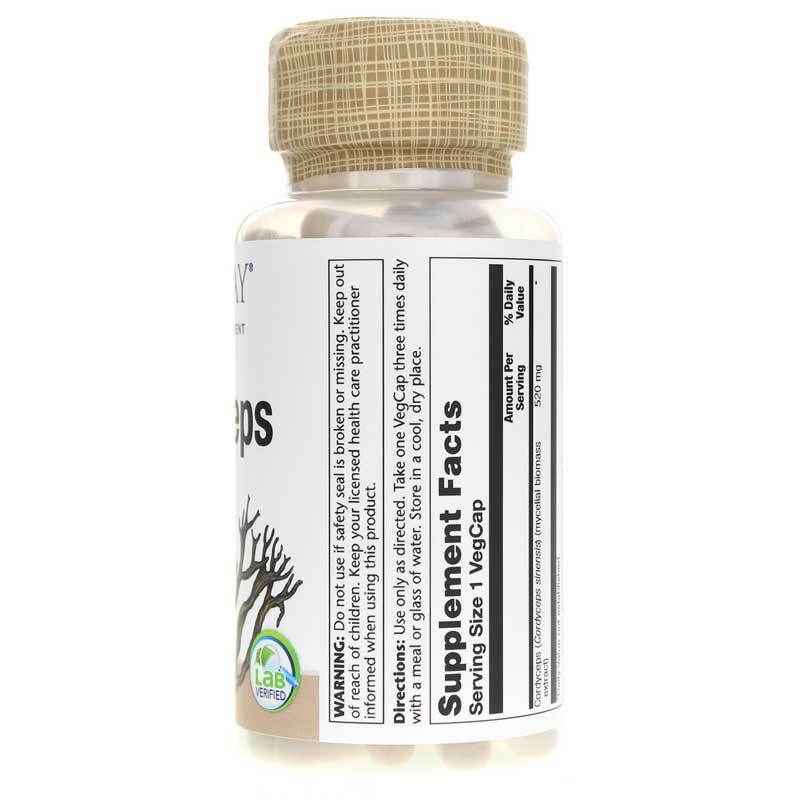 Often compared to ginseng, cordyceps support enhanced physical performance and endurance by boosting ATP production, enhancing blood circulation, and improving oxygen utilization. Solaray's Cordyceps comes in a capsule form that's easy for adults of all ages to swallow. Solaray guarantees that the only ingredients used are the ones listed on the label. Give it a try today and see the difference it may be able to make in your performance. Order now! Other Ingredients: Vegetable Cellulose Capsule, Cellulose, Magnesium Stearate, Silica. Adults: Use only as directed. 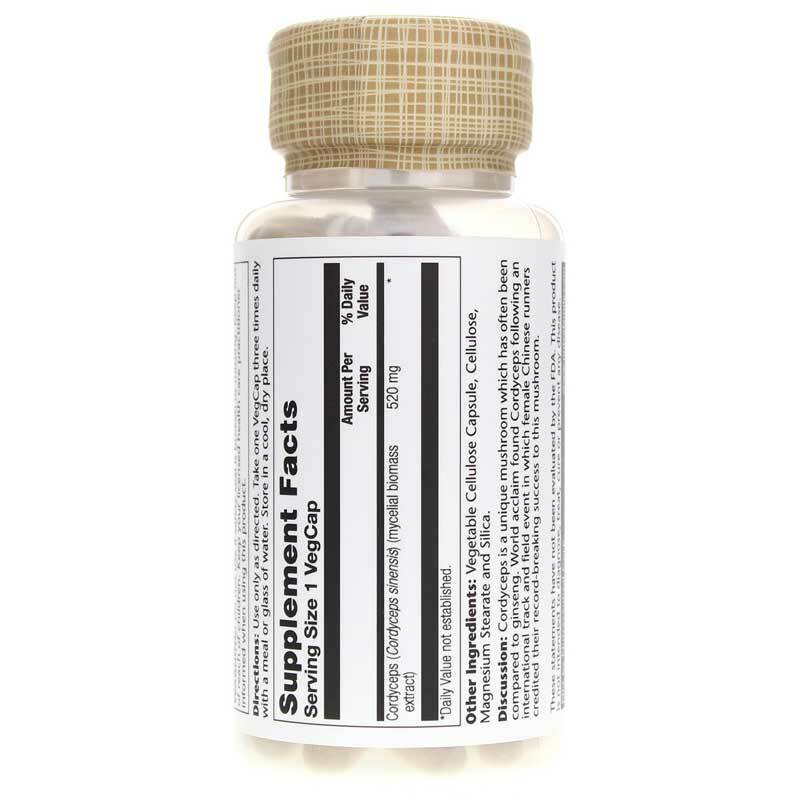 Take one vegetarian capsule three times daily with a meal or glass of water. Store in a cool, dry place.